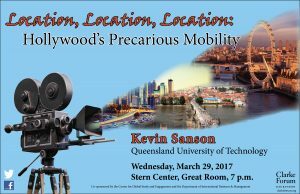 Drawing from interviews with location managers in Atlanta, London, and Budapest, among other key production hubs, this talk moves past abstract discussions of ‘runaway production’ to map the transformations mobile film and television production engenders within the work worlds of key local crew positions. This event is sponsored by the Clarke Forum for Contemporary Issues and co-sponsored by the Center for Global Study and Engagement and the Department of International Business & Management. It is also part of the Clarke Forum’s semester theme, Media, Technology and Civic Engagement. 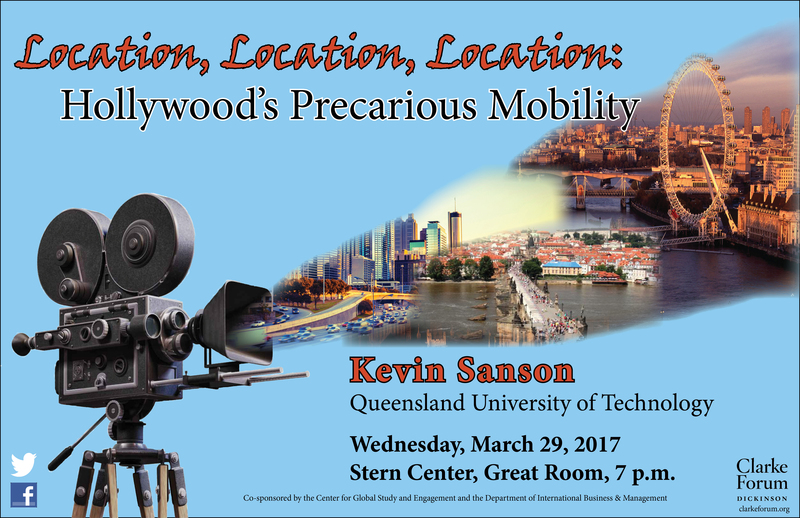 Kevin Sanson is a senior lecturer in the creative industries faculty at Queensland University of Technology. Previously, he was the research director of the Carsey-Wolf Center’s Media Industries Project at the University of California, Santa Barbara. Dr. Sanson also is a founding member and current managing editor of Media Industries, the first peer-reviewed, open access journal for media industries research. 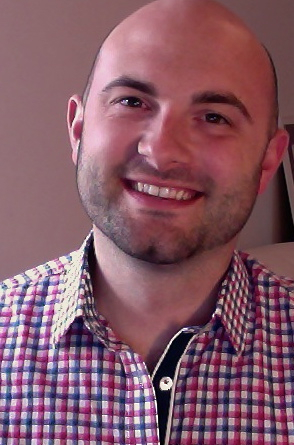 His current research examines the spatial dynamics of screen media production, focusing especially on working conditions and practices of local hires in global production hubs. 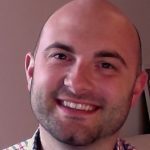 In addition to journal articles and book chapters, he’s co-editor of Voices of Labor: Creativity, Craft, and Conflict in Global Hollywood (UC Press 2017), Precarious Creativity: Global Media, Local Labor (UC Press 2016), Distribution Revolution: Conversations about the Digital Future of Film and Television (UC Press 2014), and Connected Viewing: Selling, Streaming, & Sharing Media in the Digital Era (Routledge 2014).